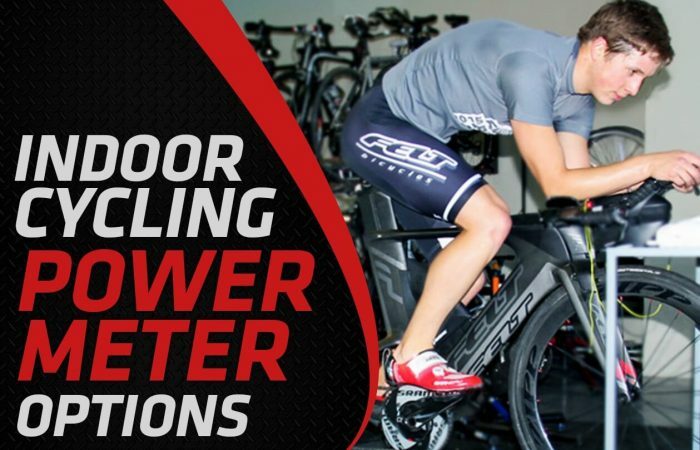 With an ever-growing array of power meters to choose from, there can be a lot to consider when trying to determine which one is best for you. Power meters can vary in terms of compatibility with your bike, price and features. However, perhaps the biggest difference in power meters, and the subject of this article, is in regards to how they measure power. Some power meters measure your total power – meaning they directly measure power from both legs. Then there are left-only power meters (or left-side power meters), which do things a bit differently. Determining which one is right for you is an important decision you’ll need to make when shopping for a power meter. So let’s dive in and see what all the fuss is about. Originally, all power meters measured a rider’s total power. That is, they naturally considered the force or torque applied by both the left and right leg. For example, if at a specific point in time, your left leg was generating 150 watts while your right leg 140 watts (exact 50/50 power distribution is a bit rare – more on this to come), the power meter would measure all 290 watts. Simple right. Take the SRM Origin Road power meter for example. SRM was the first company to manufacture a power meter back in the 80’s and they have always measured power at the crank spider. Forces generated by both legs pass through the crank, so the SRM therefore measures total power. Let’s consider PowerTap’s popular hub-based power meter, the PowerTap G3, as another example. Like the crank, all of a rider’s power passes through the hub. Left leg, right leg, it doesn’t matter – the hub measures your total power. In the last several years, new power meters have been introduced that do not measure power from both legs. Rather, they measure left leg power only. These left-only power meters take your left leg power and double it, in order to derive your total power. 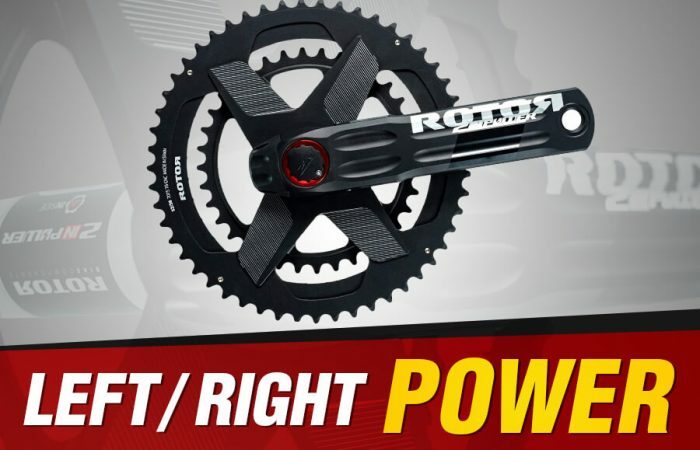 Crank arm-based and pedal-based are the two most common types of left-only power meters. With a left-only crank arm-based power meter, the user simply swaps their current left side crank arm for a new, power equipped one. With left-only pedals, you buy a new set of pedals with only the left pedal having a power sensor. In general, left-only power meters are cheaper than their total power counterpart. The reason is easy enough to understand. Fewer sensors and strain gauges means cheaper to make and therefore cheaper to buy. 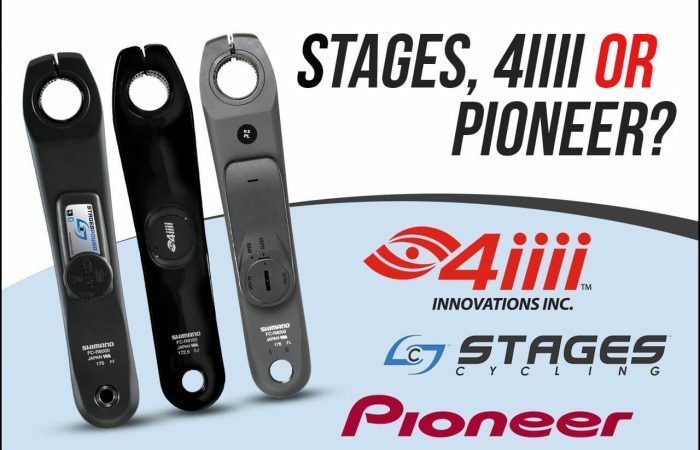 Left-side crank arms from companies like 4iiii Innovations, Stages Cycling or Pioneer, can be had for as low as $400-500 in many cases. In fact, the 4iiii PRECISION 105 5800 currently sells here for $360 – making it the most affordable direct force power meter on the market. In addition, these power meters can be installed in about 5 minutes. Not too shabby! By doubling your left leg power, these power meters assume that you are producing the same power from both legs (50/50 power balance). However, studies have shown that perfect 50/50 power distribution is somewhat rare. Most of us have an imbalance – some larger than others. In fact, imbalances as large as mid-40s one leg/mid-50s the other leg, aren’t uncommon. I will use myself as an example. On average, I produce approximately 47% of my total power from my left leg and 53% from my right. (This power balance is an average and depends on things such as intensity, fatigue, etc.) So when riding at 200 watts, this equates to 94 watts from my left leg and 106 watts from my right leg. The power meter will take my left leg power, 94 watts, and double it to arrive at a total power of 188 watts. Note that this is 12 watts less than the 200 watts I’m really producing. If my left leg produced greater than 50%, then the opposite would be true – the power meter would read high. So, because left-only power meters are forced to make the assumption that both legs are generating the same power, if you are not 50/50 balanced, then we can conclude that your power will either be under or over reported by your power meter. It depends who you ask. There are two schools of thought on this. I will provide both sides…and you can decide for yourself. So what if your power meter reads 188 watts when you are doing 200 watts (example from above). You can still train to your power meter just the same. You can establish training zones, conduct intervals and monitor your progress – just the same as if you had a power meter that measured both legs. I’ll take it a step further…it can even be said that your true wattage is a bit meaningless. Here is an analogy. Say you are trying to lose weight. You step on the bathroom scale and it says 175 lbs. Let’s assume your scale is under reporting your weight and you really weigh 180 lbs. Does that matter? You can still use the scale to track your weight loss progress. The fact that it is under reporting by 5 lbs. isn’t super important. Do you care how much you actually weigh…or how much you weigh vs. the last time you measured (hence your progress). 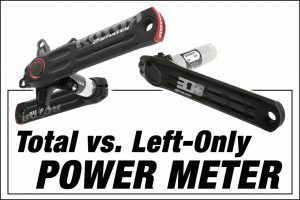 This school of thought argues the latter and therefore believes a left-only power meter is just as good. Sure, but there are some situations where knowing your true power is important. You move from a left-only power meter to a power meter that measures total power. All of a sudden, your watts jump by 12 (example from above). This will make comparisons with past training data difficult. You use race simulation calculators such as those found at Cycling Power Lab and Best Bike Split. These sites rely on accurate total power estimations. It would be okay if your left-only power meter always read too high or too low by the same amount. However, there is mounting evidence that an individual’s left/right power balance can fluctuate during a ride or from day-to-day based on things like intensity, fatigue and cadence (the magnitude of fluctuation is dependent on the individual). This can make training to left-only power a bit more complicated. We can’t tell you…in fact no one can. And it’s not about better or worse…they are just different. Each type has some pros and cons and it’s really about deciding what is best for you. If it’s important that you know your true total power and you don’t mind spending a little more, go for a power meter that measures both legs. On the other hand, if you are okay with the limitations of a left-only power meter and want to save some money, then a left-only power meter might be better. Lastly, we would note that if you know you have a meaningful left/right power imbalance, perhaps due to a previous injury, we would recommend a power meter that measures total power. In this situation, left-only power meters might not be the best choice.